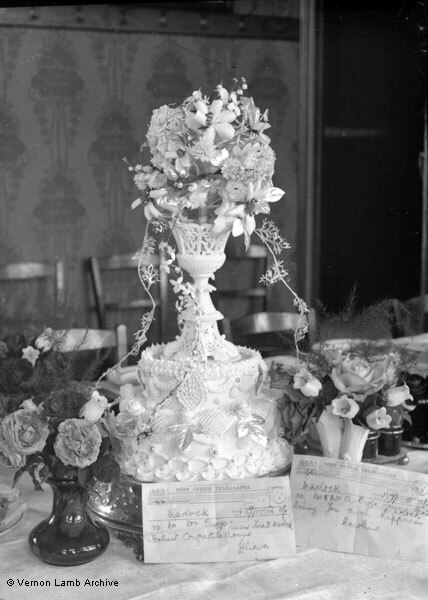 Description/Historical Information: Wedding cake with two congratulatory telegrams addressed to Mr & Mrs A Briggs, Queen's Head, Matlock. Both franked but unable to read. Alfred Briggs mar Maud Squires, 1911, at St. Giles.